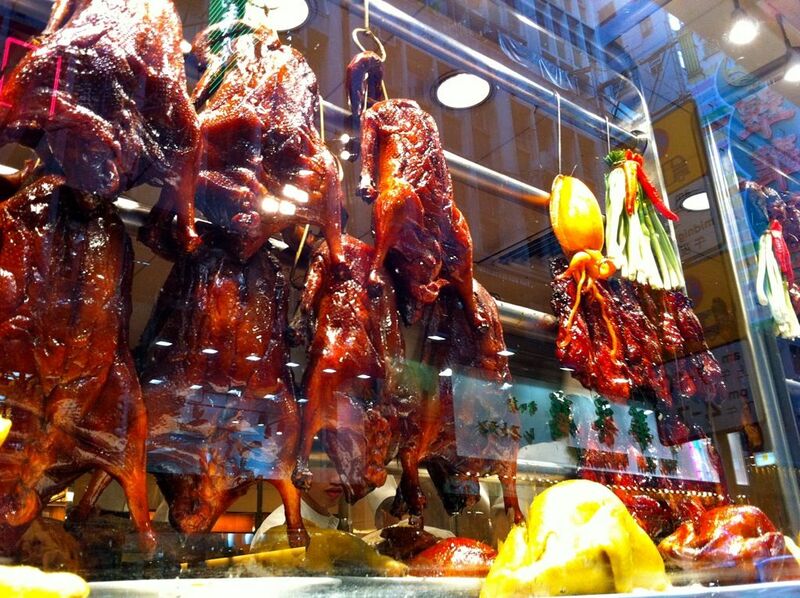 There was a time when Yung Kee was the go to for roast goose in Hong Kong. But as predictable as HK TVB dramas, a family feud resulted in a winding up order end 2015. Well, truth be told, the falling standard and the rising prices have made it an unpopular choice and i sought other alternatives on my subsequent trips. 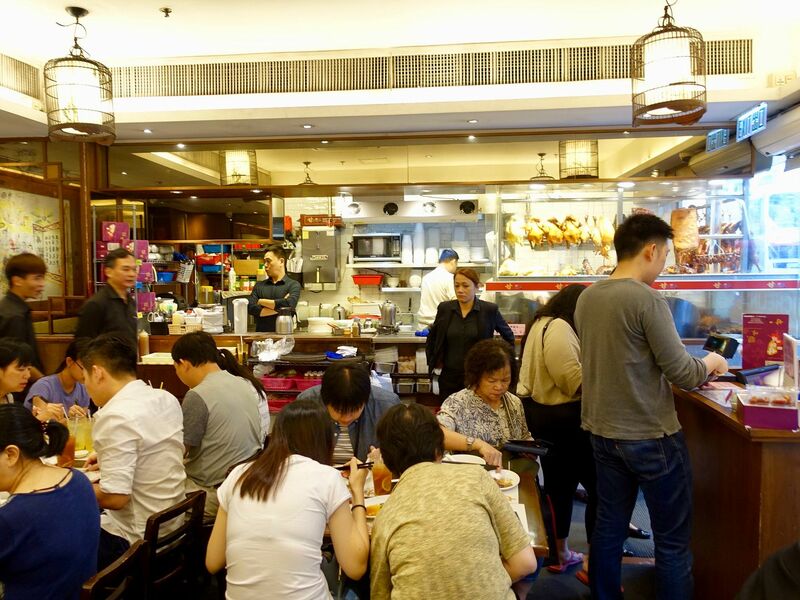 This time, we compare the "successor" of Yung Kee- Kam's Roast Goose and hole-in-the-wall cranky Yat Lok, both of which have been earning the 1 Michelin Star badge since 2015. 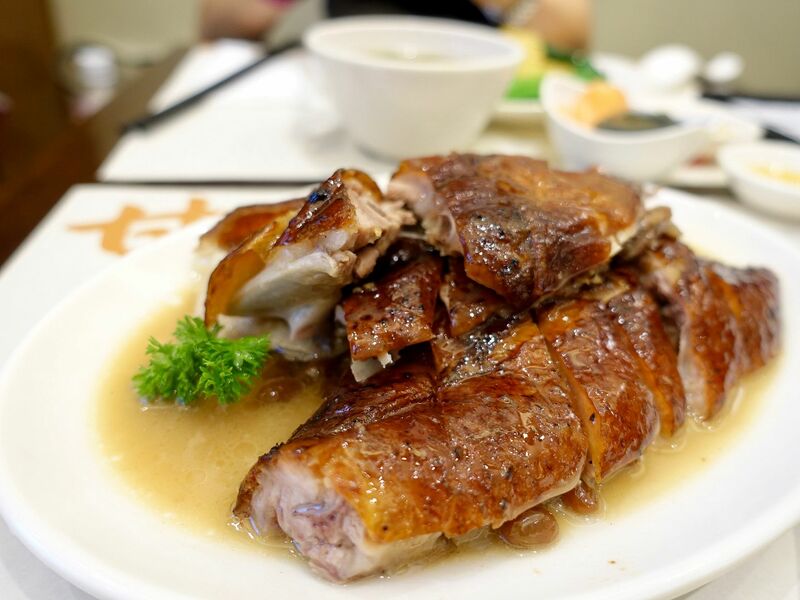 Kam's Roast Goose (KRG) was started by the third generation of the family that started Yung Kung. 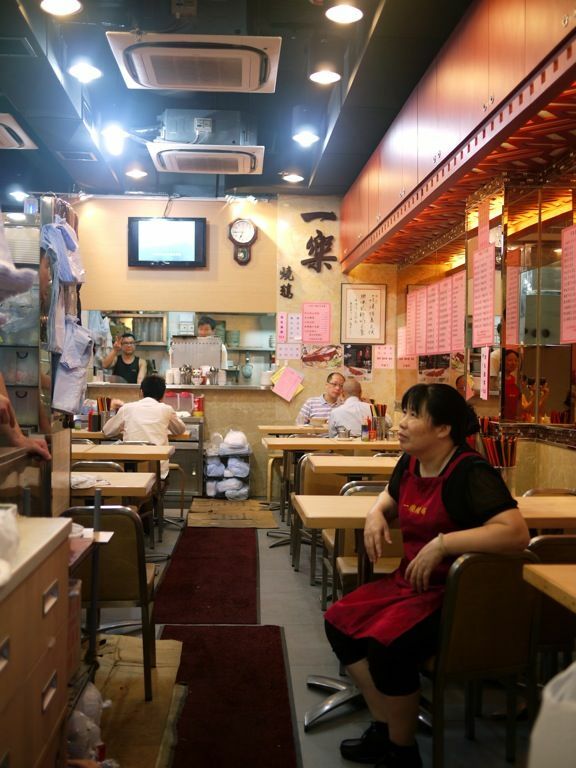 Within a year of opening, they earned their first Michelin star, a feat that Yung Kee did not even managed. KRG knew to stick with the winning formula and kept the family recipe (sauce and marinade techniques), goose supplier, and chef (formerly at Yung Kee) the same. Of course, KRG must have improved something along the way. How else could we explain the consecutive Michelin star that they have clinched from 2015 to 2017. 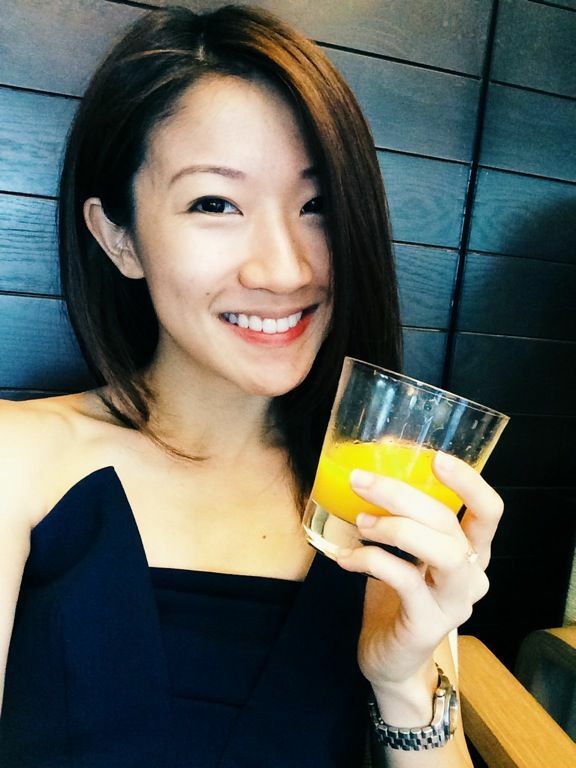 They are so successful that they have even opened an outpost here in Singapore (read the review of Kam's Roast Goose Singapore here). The 30 seater store at Wan Chai is perpetually packed. Be prepared to queue or you may miss out on their signature roast goose leg on rice. Well we went at 3pm and had to order half a goose in order to enjoy the juicy leg. 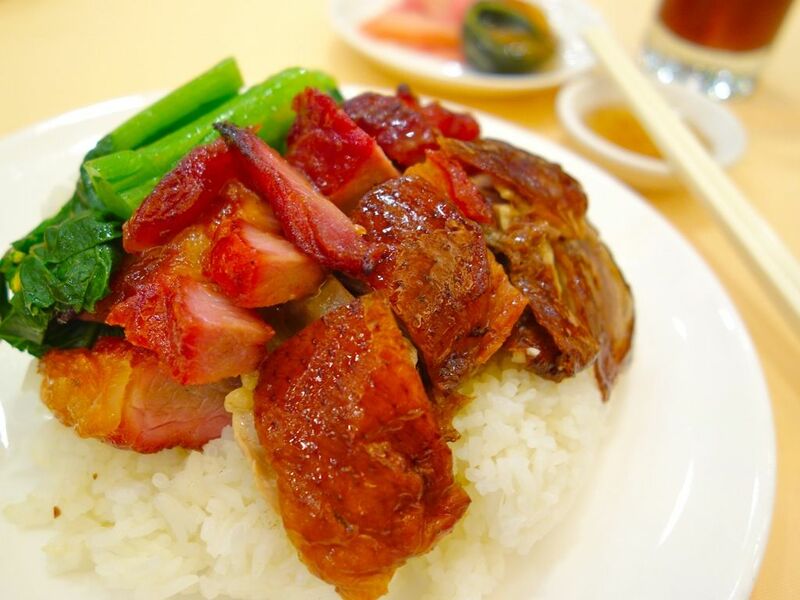 To be honest, i'm not a fan of roast goose, i find them too fatty and would rather have roast duck or char siew instead. I was a bit disappointed at the roast goose at Kam's as the skin wasn't very crispy and the fats weren't quite rendered enough to flavor the meat. I also made the mistake of not ordering the char siew!! Well, i was seduced by the lap cheong because we don't get the cured goose liver sausage in Singapore. That obviously didn't turn out too well and i ended up having to stuff my face with the incredibly seasoned and strong-flavored sausage and not having space for that glorious fatty caramelized meat. I was hoping that the blood sausage would be as good as the version that i had at Man Fu Yuan (they serve it with the stuffed suckling pig). Decent fare at KRG. The noodles are super springy and i'd pick that over the rice. Next time, i'll stick to char siew, and their suckling pig. I will always remember my first Yat Lok experience. I was exploring Sheung Wan on my own and i couldn't decide on what to have for dinner (because i ruined it with Tim Ho Wan's char siew bo lo bao for tea, and i was also down with a cold). 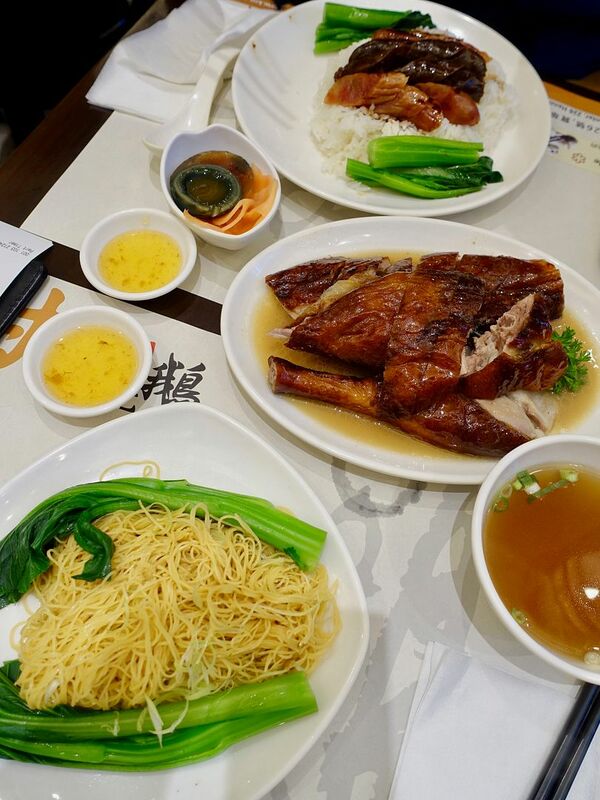 The Michelin guide told me there's a 1 star roast goose place in the area and i ended up eating a meal because it was empty (at 8ish pm) and the food is quite cheap. FYI they have also clinched a 1 Michelin star from 2015 - 2017. 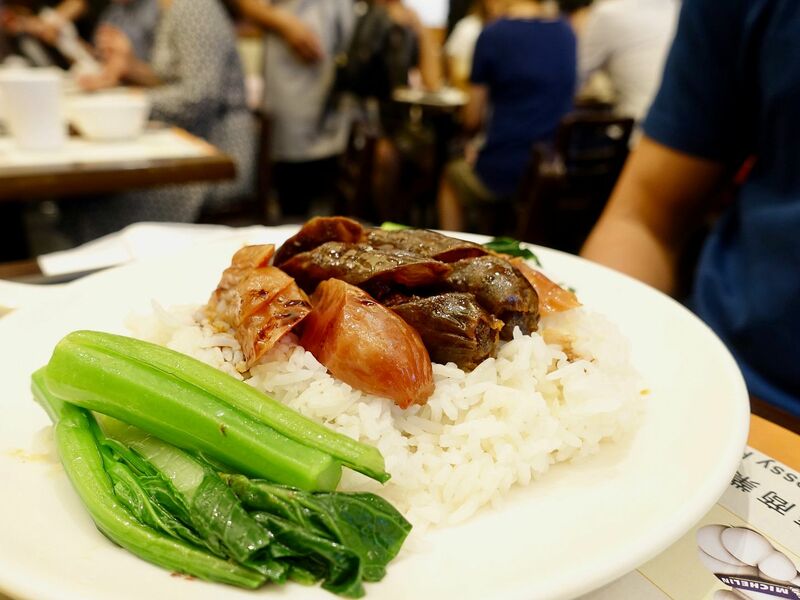 It was late and Yat Lok had already ran out of roast goose leg so i went for the meat and another side of char siew on rice. I only wanted to have a taste because my throat was protesting from an inflammation, but i ended up polishing the entire plate of rice. That was how good it was. The skin was thin and crispy with a thin layer of fats that melt in your mouth. The meat was succulent and well flavored and that sauce was amazing! I wasn't expecting much when the dish was presented to me but that light colored sauce added so much more flavor to the fluffy rice. Even though the char siew looked a little pale and not caramelized enough, it was a great accompaniment to the glistening roast goose. The environment is not as comfortable as Kam's Roast Goose and I heard that the service can be pretty curt but i'll bear with that for their delicious meats. While writing this article, i was a little confused on whether Yung Kee has reopened. I didn't bother checking it out when i was in Hong Kong this year but it seems like they are active on their social media accounts. If that's the case, perhaps there's a need to check them out again to make a comparison. 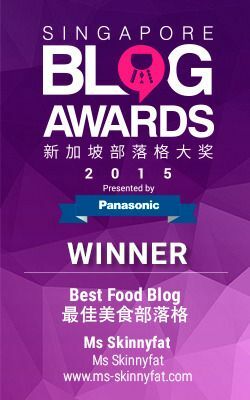 The winner of the Michelin Star Hong Kong Roast Meat goes to... YAT LOK! If they can make a sick girl with an inflamed throat wolf down a plate of roast meat on rice, you can bet that it's worth your calories. 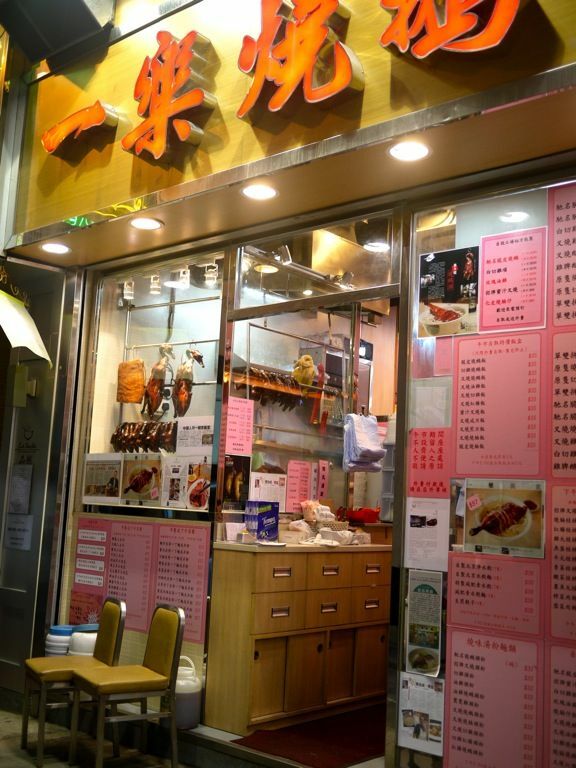 Share with us your other favorite roast meat places in Hong Kong and we'll check them off the next time we visit.